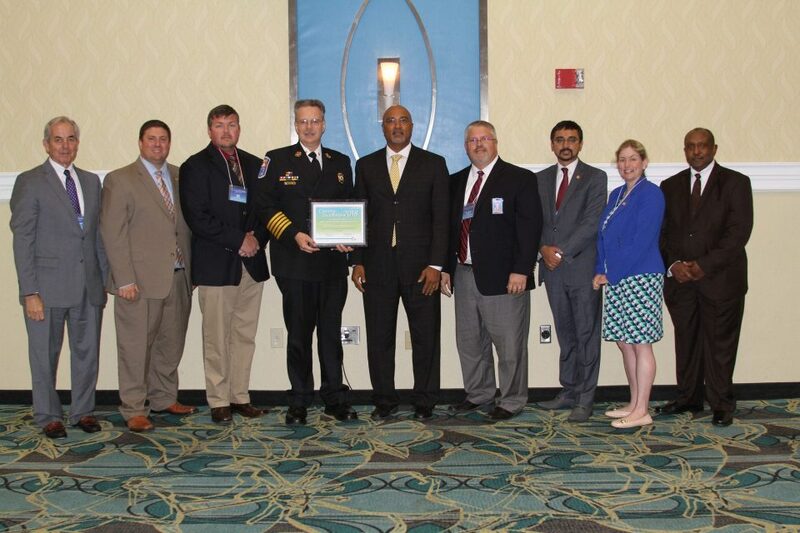 A career-preparation partnership between Chesterfield Fire and Emergency Services and Chesterfield County Public Schools was one of 16 statewide exemplary career and technical education programs honored during the recent annual Creating Excellence Awards program, hosted by the Virginia Department of Education and the Virginia Community College System. Chesterfield’s unique partnership was selected as the Region I winner of the 2018 Creating Excellence Business and Industry Partnership Award. The firefighting program, located at the Chesterfield Career and Technical Center @ Hull next door to a Chesterfield County fire station, is a two-year course. Year 1 instruction provides students with the knowledge, skills and abilities to perform cardio pulmonary resuscitation at the professional level along with entry-level firefighting training and basic life support skills for emergency medical services. Year 2 students learn National Registry Emergency Medical Technician Basic level knowledge, skills and abilities leading to certification testing. Students learn and understand safety assessments, treat medical and trauma patients, and provide care through transport of patients. “Our partners are helping us prepare students for real-world experiences and careers that make an impact in our community,” School Board Chair John Erbach said. “This coursework exposes our students to credential and licensing opportunities in fields where the average salary approaches $55,000 a year. We appreciate the county’s partnership in helping us train potential career service-oriented students.” The creating excellence awards are presented annually to recognize exemplary programs and partnerships that promote excellence in career and technical education.